The Gilbert Brown Foundation’s mission is service youth in an environment that promotes structure and life skills awareness, by introducing team building skills and promoting diversity in the community. 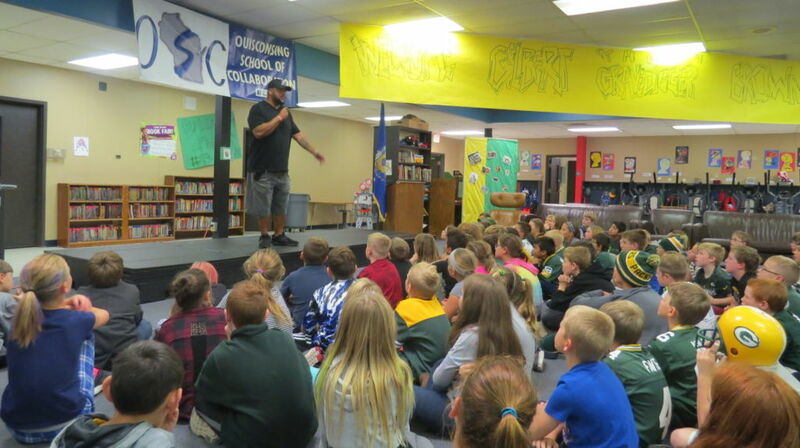 GILBERT BROWN, THE GRAVEDIGGER, IS ON A MISSION TO STOMP OUT BULLYING IN SCHOOLS The former Green Bay Packers nose tackle is working with schools in Wisconsin to put a stop to bullying in the schools. He has co-authored an anti-bullying comic workbook that he hopes will inspire students, teachers, parents, and school counselors to talk openly about bullying and adopt a zero-tolerance policy toward bullying schools. For more information on Gilbert Browns anti-bullying campaign, how you can bring him to your hometown school or to order his anti-bullying comic book, please contact The Gilbert Brown Foundation office at (608) 525-2326.